Find our cheapest flights to Cairns from Auckland, Wellington and Christchurch. Reef, rainforest and relaxation are compelling reasons to visit Cairns, the captivating gateway to Tropical North Queensland. If you love an active holiday intermixed with lazy days, Cairns is your kind of destination. From easy going to extreme, there are all kinds of adventures within easy reach of the city, or you can hire a car and venture north or south to some of Australia's most beautiful tropical beaches. Nature will play a major part in your experience, whether you're snorkelling spectacular locations on the Great Barrier Reef, paddling up a river or rejuvenating body and mind at a rainforest retreat. Air New Zealand flies non-stop from Auckland to Cairns during New Zealand's autumn and winter. At other times you can fly to Cairns via Brisbane or Sydney. On non-stop flights to Cairns from Auckland you have a choice of Seat, Seat + Bag, Works and Works Deluxe fare types. The Auckland to Cairns flight time is five hours and 35 minutes. If you're interested in cheap flights to Cairns from NZ, we run regular special offers. You can sign up for low fare alerts to receive early notice of these offers. You can also sign up to receive regular email updates about cheap airfares, packages, competitions and exclusive offers. South from Cairns, Air New Zealand also flies to the Sunshine Coast, the Gold Coast and Queensland's state capital Brisbane. The Cassowary Coast is where you can blend beach, hinterland and reef experiences for a relaxed Australian holiday that's big on originality. 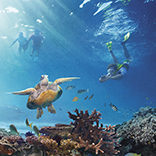 Australia at its most exotic - that's what you'll discover in Tropical North Queensland. This region has the stuff Aussie legends are made of, from the immense Great Barrier Reef and deepest rainforest jungles to acclaimed seafood restaurants and indulgent spa resorts. Whatever you choose to do on land or sea, there's always a degree of adventure involved. But it's also easy to do next to nothing, flopped beside a deliciously cool pool with a book or making footprints in the sand along a wilderness beach. Born in 1876 as a goldfields port, Cairns is a tropical business and tourism hub where beach wear rules supreme. But while the city's vibe is laid back, there's plenty of smart-casual sophistication to be found in the bars, clubs and restaurants. Before you head north or south on your Queensland adventure, stay a few nights in Cairns to discover the city and nearby attractions. In fact, there are enough things to do and places to go in Cairns to make it your sole destination - especially if you throw in a couple of day trips. You can get around the city using the Sunbus public transport service, which operates as far as Palm Cove in the north. Cycling is another transport option; the 450km network of tracks is a fun way to access the Esplanade, nature areas and sporting venues. 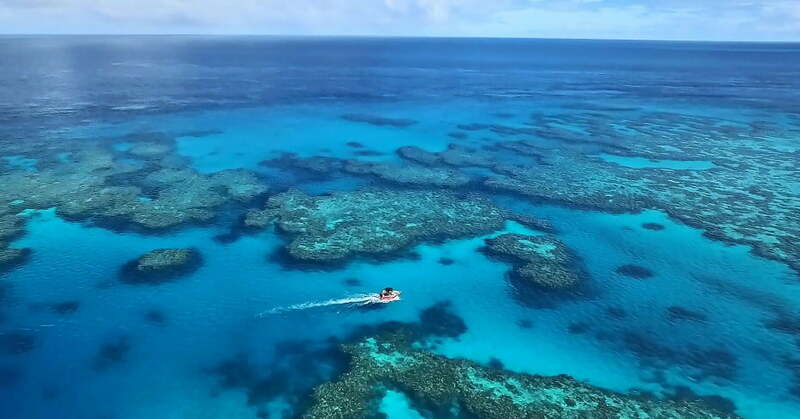 Just 45 minutes offshore, Green Island and Fitzroy Island are part of the Great Barrier Reef. From Cairns you can visit the islands by fast catamaran to discover idyllic beaches and beautiful areas of coral. There are all sorts of tours and packages available to make the whole experience super-easy. One of the best things to do in Cairns is an expedition to Kuranda, where you'll find the Tjupakai Aboriginal Cultural Park, Rainforestation Nature Park and a fabulous butterfly sanctuary. You can make the day even more enthralling by catching the scenic railway from Cairns, then gliding back down from the mountains on the Skyrail Rainforest Cableway. Inland from Cairns is a highland area called the Tablelands, where the locals go to picnic, camp, swim and bush walk. You'll find waterfalls, rock wallabies, wetlands, historic villages and beautiful countryside scenery. A driving circuit via Smithfield, Mareeba, Atherton and Goldsborough can be easily completed in a day, or book a night's accommodation along the way for a more relaxed journey. Tropical North Queensland targets all your senses, particularly your sense of wonder. If you venture as far north as Cape Tribulation you can discover an orchard that's devoted to rare tropical fruit trees. Visitors are welcome to taste whatever's in season, which is often something weirdly delicious like grumichama, durian, ice cream bean or salak. The Dubuji Boardwalk up here is also much-loved by travellers. Another far north highlight is jungle surfing through the World Heritage Daintree Rainforest. This activity involves zooming between platforms high up in the forest canopy, helped along by the world's first human hamster wheel cable lift. If you stay in Port Douglas for a few nights, you can combine restaurant and shopping pleasures with reef and river adventures. The town is a major base for day trips to the Low Isles, a protected coral cay that's fabulous for snorkelling and beach lazing. For a different kind of watery fun, try stand up paddle boarding through rainforest on the Mossman River - it's a serene green experience. An easy drive south from Cairns is an area of Queensland called the Cassowary Coast. It's where you can blend beach, hinterland and reef experiences for a relaxed Australian holiday that's big on originality. In the centre of the region is gorgeous Mission Beach - a series of beach towns linked by 14 kilometres of beautiful sand and surf. From here it's easy to launch marine adventures, including sea kayaking around Dunk Island and small-group cruises to the outer Great Barrier Reef, where you can get into snorkelling and whale watching. A special experience near Mission Beach is Paronella Park, which is listed as a National Trust treasure. Staged within 13 acres of lush rainforest, it's a man-made wonderland of meandering walkways that lead to bridges and mossy staircases, ponds and secret gardens, rustic structures, waterfalls and the ruins of a Spanish castle. This park was completed in 1935 by José Paronella, a visionary Spaniard who wanted to create a fairy-tale on earth. Typical of many warm destinations, Tropical North Queensland has a wet season (December to April) and a dry season (the rest of the year). If you're planning a trip to Cairns, New Zealand's coolest months are the best time to visit - you'll enjoy maximum sunshine, daily highs of up to 28°C and comfortable evenings that drop to about 20°C. All visitors to Australia must obtain a visa before they arrive. The only exception is New Zealand citizens, provided they meet specific health and good character requirements. To find out more, check out the handy visa finder on the Australian Department of Immigration and Border Protection website.